Juul’s deal to accept a big investment from the maker of Marlboro cigarettes will snuff out its chance to take the high road with critics, but it will buy the embattled e-cigarette company time and credibility with regulators. Juul said on Thursday it had accepted a $12.8 billion cash investment from Altria, one of the nation’s largest cigarette makers, for a 35 percent stake that values the three-year-old startup at $38 billion, according to Wells Fargo. It’s tempting to see the financial tie to big tobacco as Juul selling out. The company has marketed itself as a way for smokers to transition away from cigarettes by satisfying their nicotine addiction without the hazardous byproducts produced by burning tobacco. When Juul launched in 2015, its mission was to design a better e-cig—one that gave consumers the same buzz and could fit in their pocket. But Juul, which styles itself as a Silicon Valley startup, has always had a messianic philosophy around growth, arguing that persuading smokers to switch to vaping outweighs the potential dangers of encouraging new nicotine addicts. To that end, Altria’s marketing and distribution machine will vastly accelerate Juul’s reach. As part of the deal, Altria promised top-shelf placement in convenience stores next to its cigarettes, as well as ads inserted inside packs of cigarettes and sent through direct mail. Juul’s growth-first strategy has been evident over the past year. Even as government agencies, public health advocates, and parents warned about an e-cigarette epidemic among teens, the company kept its popular fruit-flavored e-liquid pods, which have a notoriously high concentration of nicotine, on the market until the Food and Drug Administration cracked down this summer, following a raid of the company’s San Francisco headquarters. “JUUL partnering with Altria, maker of the nation’s number one cigarette brand Marlboro, and adjudicated racketeers, proves they are not in the business of saving lives and never have been,” Robin Koval, CEO of the advocacy group Truth Initiative, said in a statement. The perks of the deal certainly support a more cynical interpretation. 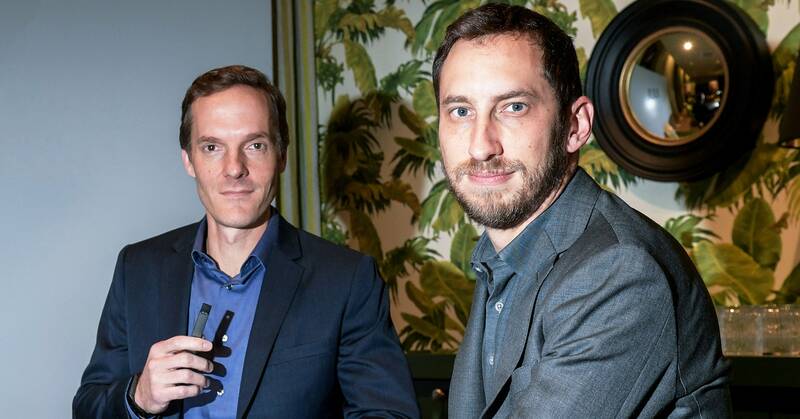 Cofounders James Monsees and Adam Bowen could become the world’s first vaping billionaires, at least on paper. Juul’s hedge fund investors also have the prospect of making a killing. But the windfall that caught the public’s eye is a report from CNBC that Juul received a $2 billion bonus to be distributed among its 1,500 employees, depending on how much stock they have and how much is vested. Juul declined to comment on the existence of the bonus or whether it came with golden handcuffs, but that would be one way to placate employees who were reportedly unhappy when news of the talks with Altria broke in November, bemoaning Juul’s “deal with the devil. Juul has annual revenue of about $2 billion, according to a report released Thursday by Wells Fargo senior analyst Bonnie Herzog, who noted that the deal requires antitrust clearance. Herzog says Juul appears to have had more leverage over the terms than expected, including limiting Altria’s stake to 35 percent for six years. Chris Howard, general counsel for the vaping products company E-Alternative Solutions who previously worked as a legal representative for RJ Reynolds, says the deal is a big help to Altria because its own cigarette alternatives were flops. “If history is any guide, Altria will one day complete the acquisition. [Combustible] cigarettes may go away, but Altria won’t,” he says. Howard says the investment is one of several bold moves by Altria to maintain its dominance, no matter what happens to traditional cigarettes. The company also recently acquired substantial stakes in marijuana growing company Cronos Group and Avail Vapor, a chain of vape shops. Add in Marlboro, and Altria’s got all its bases covered, he says. “Go back 10 years, Altria didn’t have much a message other than, ‘Keep smoking our cigarettes,’” says Howard. But as the popularity of e-cigarettes has grown the company altered its approach.